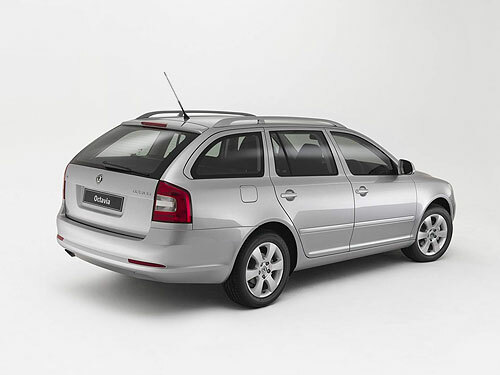 Station wagons seem to be a dying breed here in Australia as the motoring public snap up more and more SUVs but that hasn’t stopped Skoda … Volkswagen’s budget brand … from including a station wagon in their Octavia model lineup. The Skoda Octavia station wagon comes with a choice of three engines that includes a 1.6-litre and a 1.8-litre petrol engine as well as a 2.0-litre diesel. 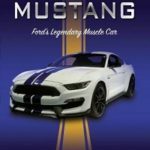 The 1.6-litre engine is coupled to a five-speed manual gearbox or a six-speed double-clutch automatic box while the 1.8-litre engine is combined with a 6-speed manual gearbox or a seven-speed automatic box. The 2.0-litre diesel comes with a six-speed manual box or a six-speed automatic box and Skoda claims an average fuel consumption of 6.7L/100km for the 1.8-litre seven-speed automatic. While Skoda may be the budget side of Volkswagen there’s nothing ‘budget’ about the safety features. 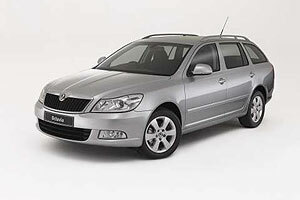 The Skoda Octavia station wagon comes equipped with six airbags, ABS, EBD and ASR combined into what Skoda calls an Electronic Stability Programme, an engine immobilizer and a fuel system that shuts off automatically when the vehicle is involved in an accident. 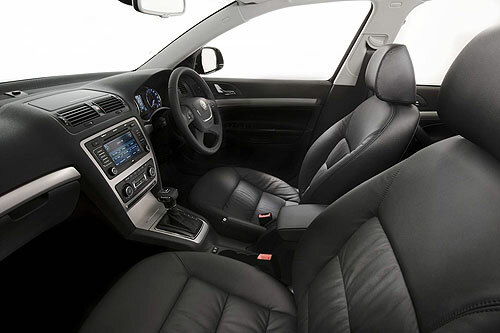 Climate control is fitted in top of the range models along with heated seats and quality audio systems. A six-stack CD player is standard in the 1.8 and 2.0-litre models and the sound system allows you to plug in an SD card loaded with MP3 files. The sound system also incorporates touch-screen technology. The centre console includes an adjustable arm-rest and if air conditioning is fitted the storage compartment in the console is also cooled. The luggage space in the wagon is not huge … we’re certainly not talking Ford Falcon size here. With the rear seats in the upright position there’s only 580 litres of space but when you fold the seats down the storage space grows to around 1620 litres. If you like to get off the beaten track … but not to the point where you’re going to need 4WD … then you might find that the Skoda Octavia Scout is worth a look. It comes as an all-wheel drive wagon with 179mm of ground clearance compared to the 140mm ground clearance on the 2WD version. 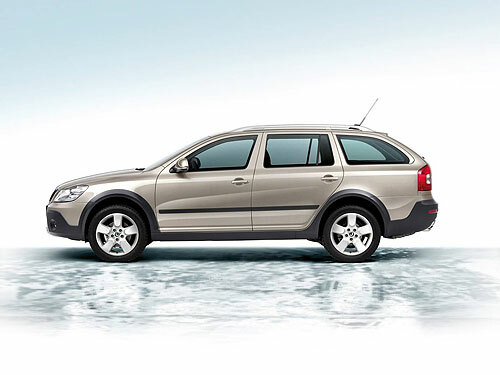 The Skoda Octavia Scout is only available with the 2.0-litre diesel engine. The state that you live in is going to govern the final drive-away price but for the base model 1.6-litre model the most you’re likely to pay according to the Skoda website is $32,806.00 if you live in New South Wales*. There are a host of options that you can add to the Skoda Octavia station wagon and for details of those options and prices for other states and other models in the Octavia station wagon range you should visit the Skoda website. While the Skoda Octavia wagon is definitely worth looking at for anyone who is in the market for a mid-sized station wagon it does have one drawback. There aren’t many Skoda dealers around … even in the capital cities. 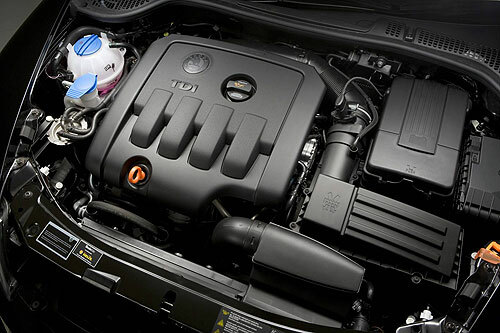 1.6ltr comes with 5 speed manual, 6 speed standard auto box option. 1.8 TSi has a speed manual or a 7 speed twin clutch DSG option. The other draw back you didn’t mention is that NO NE knows about them. It appears they are doing their level best to come into the country and then leave without anyone noticing. I think it is a game of VW globalle, see where you can hide Skoda??! !